陽光 微笑 Ｓｕｎｓｈｉｎｅ Ｓｍｉｌｅ1 is the eighteenth record to be released on the Cyber Dream Records, a label founded in January 2016. It’s the debut of New York artist Seabaud, who utilizes electronica, underground club music, R&B, and vaporwave sampling techniques to create a hazy, distinctly modernist extended-play. Interestingly, it’s almost entirely written in major progressions, which is something vaporwave does not necessarily eschew but certainly does not necessarily focus – especially with the genre’s recent focus on dark ambient, extreme samplism, and glitch sounds. The album opens up with “ｖｉｓｉｏｎｂｒｅｅｚｅ,” a two-minute intro with vague piano leads, processed synthesizer leads, and a spliff-ready rhythm reminiscent of some of telepath’s works. Follow-up track “陽光 微笑 Ｓｕｎｓｈｉｎｅ Ｓｍｉｌｅ” sounds like some kind of alternate timeline where Vangelis scored it big after composing the Blade Runner soundtrack and launched ambient/new age music into mainstream music production; it’s distinctly emotive, even passionate downtempo music with an extraordinary guitar lead that echoes throughout its second half. “ｅｓｐｒｉｔ (feat. Hatsune Miku)” gets a bit chiptune, and it’s nicely merged with the breezy J-pop backing. “ｓｙｓｔｅｍ＿ｄｒｅａｍ” is similar to the title track and features a somber vocal bridge; it’s easily the best song on the release. “Day and Dream” is ostensibly a modern R&B song with an indietronica backing, and it utilizes some of the CD-skip measures made popular last year by artists on Bedlam Tapes and Business Casual. Finally, “ａｐｅｘ” closes the album with a track much closer to classic-style vaporwave with its prominent contemporary R&B slowed-jam vocal lead and smooth jazz instrumental section. 陽光 微笑 Ｓｕｎｓｈｉｎｅ Ｓｍｉｌｅ is short but sweet. 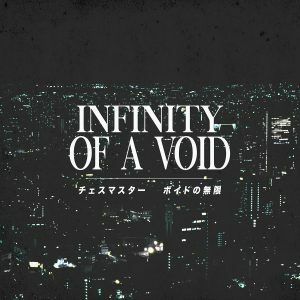 Give it a try and see where it takes you; if anything, it’s a succinct primer to Cyber Dream Records’ signature brand of cleanly-produced electronica and vaporwave-influenced music.